A new release of Google Play services has begun rolling out worldwide and we have lined up a number of features you can use to improve your apps. Specifically, this version adds some new members to the Google Play services family: Google Analytics API, Tag Manager, and the Address API. We’ve also made some great enhancements to the existing APIs; everything to make sure you stay on top of the app game out there. Once the rollout is complete, you’ll be able to download the Google Play services SDK using the SDK Manager and get started with the new APIs. Watch for more information coming soon. Here are the highlights of the 4.3 release. The Analytics API and Google Tag Manager has existed for Android for some time as standalone technologies, but with this release we are incorporating them as first class citizens in Google Play services. Those of you that are used to the API will find it very similar to previous versions, and if you have not used it before we strongly encourage you to take a look at it. Google Analytics allows you to get detailed statistics on how you app is being used by your users, for example what functionality of your app is being used the most, or which activity triggers users to convert from an advertised version of an app to paid one. Google Tag Manager lets you change characteristics of your app on-the-fly, for example colors, without having to push an update from Google Play. The furious speed of innovation in Android mobile gaming has not slowed down and neither have we when it comes to packing the Google Play Game services API with features. With this release, we are introducing game gifts, which allows players to send virtual in-game requests to anyone in their Google+ circles or through player search. Using this feature, the player can send a ‘wish’ request to ask another player for an in-game item or benefit, or a ‘gift’ request to grant an item or benefit to another player. This is a great way for a game to be more engaging by increasing cross player collaboration and social connections. We are therefore glad to add this functionality as an inherent part of the Games API, it is an much-wanted extension to the multi-player functionality included a couple of releases ago. For more information, see: Unlocking the power of Google for your games. In addition to the above, we’ve also added the ability to access a number of new metadata fields. This release will also includes a new Address API, which allows developers to request access to addresses for example to fill out a delivery address form. The kicker is the convenience for the user; a user interface component is presented where they select the desired address, and bang, the entire form is filled out. Developers have been relying on Location data which works very well, but this API shall cater for cases where the Location data is either not accurate or the user actually wants to use a different address than their current physical location. This should sound great to anyone who has done any online shopping during the last decade or so. That’s it for this time. Now go to work and incorporate these new features to make your apps even better! And stay tuned for future updates. 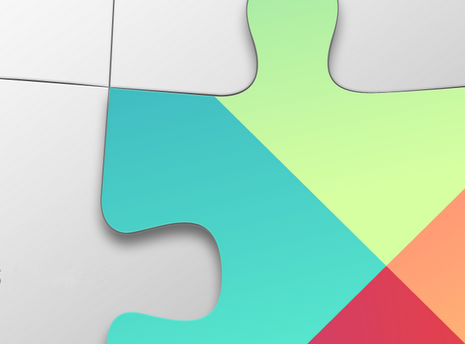 The latest release of Google Play services has begun rolling out to Android devices worldwide. It includes the full release of the Google Cast SDK, for developing and publishing Google Cast-ready apps. "Hello Lisha, You can visit openautoalliance.net and stay..."
"Hello David, Yes, if you upgrade your app to 8.1, then..."